This weekend will mark the six month anniversary of the publication of my debut novel, The Exercise Of Vital Powers. A lot has happened in that time (mostly positive I’m pleased to say), but looking back at my first six months as a published author I have no trouble admitting that I embarked upon this independent publishing journey without the faintest idea what I was doing. I self-published my novel pretty much on a whim, with no forethought, content to just learn the ropes as I go. It has definitely been a valuable learning experience, and in hindsight if I knew six months ago what I know now, I would have handled the publication of my first book very differently. But I have no regrets. 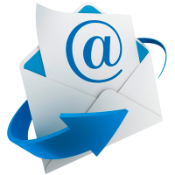 Sometimes the best way to learn lessons is through experience, and I’ve learned three things that will help me with the launch of every subsequent book I publish in future. This week I’ve finally been forced to do something that I really wanted to avoid doing, but can no longer justify not doing. 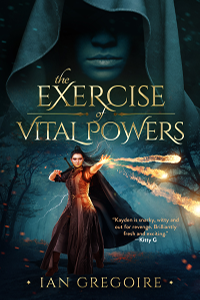 I have decided to make my debut novel The Exercise Of Vital Powers an Amazon exclusive by enrolling it in the KDP Select program. If you don’t know what that entails, KDP Select is the means by which Amazon incentivises authors to give them exclusive ebook distribution rights, in exchange for various promotional perks. Choosing to go this route means that authors cannot sell their books via any other marketplaces, be it Apple iBooks or Kobo. You may recall from the last update on my work in progress that I decided to re-write everything from scratch because I wasn’t happy with the opening chapter. Since then, though I’m much happier about the state of my WIP, I am much less happy about the slow progress of my writing throughout September. While most of the problems that prevented me from getting as much done as I would have liked were (as usual) out of my control, I fully accept that there is one issue that is in my power to affect: Time management.